A state energy council on Tuesday, in a 5-1 vote, backed the permitting of a solar project that would spread across more than 200 acres of farmland in Kittitas County. The project proposed by Seattle-based Tuusso Energy would be among the first solar farms in Washington state. It would be able to generate up to 25 megawatts of power, providing enough electricity for about 1,000 homes. Supporters view the project as an important step forward for harnessing the sun to generate electricity without releasing the carbon emissions that scientists have said are a key driver of climate change. But the project, which would be at five different sites, has been controversial in Kittitas County. Some are concerned about the precedent that would be set in covering agricultural acreage with solar panels. Opponents worry that the project, combined with a rising demand for clean energy, will swallow up swaths of agricultural land that produce the crops and livestock that underpin the county economy. The Kittitas County Board of Commissioners has placed a temporary moratorium on new solar projects, and, commissioners had hoped the state council would stay out of the permitting process. Developers have said concerns about solar sprawl are greatly overblown, and they went to the state council to override the county moratorium. That state council, as it considered the project, included a Kittitas County representative. That representative, Ian Elliott, represented the only dissenting vote cast Tuesday. Elliott, before the vote, said he did not think that Tuusso should have been able to bundle together five sites into one solar project. Rather, he said, they should each have been considered as a separate project. “I think there are some risks that if this is a way we are going to do this in the future. There is a risk that they could be challenged,” Elliott said. The state council’s permitting of energy projects is typically a slow-moving process, and may stretch on for years. But Columbia Solar was granted an expedited review that enabled the developers to get through the process within nine months after first reaching out to the council. 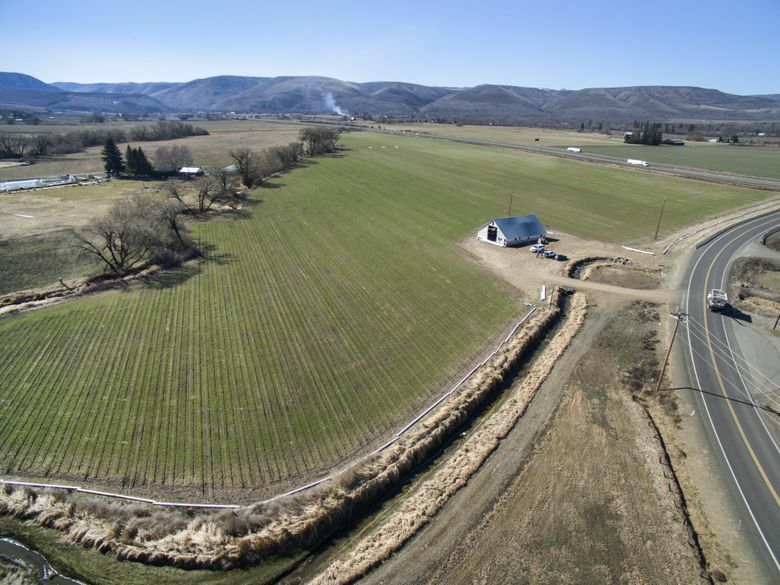 Kittitas County has some 180,00 acres of farmland, and the project would occupy less than one-half percent of that acreage. The developers would lease the five sites for 30 years. After that time, if the landowners want the acreage to be returned to farming, that should still be possible once soil amendments were added, under the terms of the lease approved Monday by the board.